With the last Street Fighter EX title being released nearly 18 years ago now, it’s fair to say that we’re somewhat overdue for Street Fighter EX developer ARIKA to make a comeback. Fast forward to 2018 and the Japanese developer has done just that with Fighting EX Layer, a brand new one-on-one fighting game with an arcade mode that encapsulates the essence of those early Street Fighter EX titles – albeit without the ‘Street Fighter’ bit. Or the single-player bit. Or the story bit. 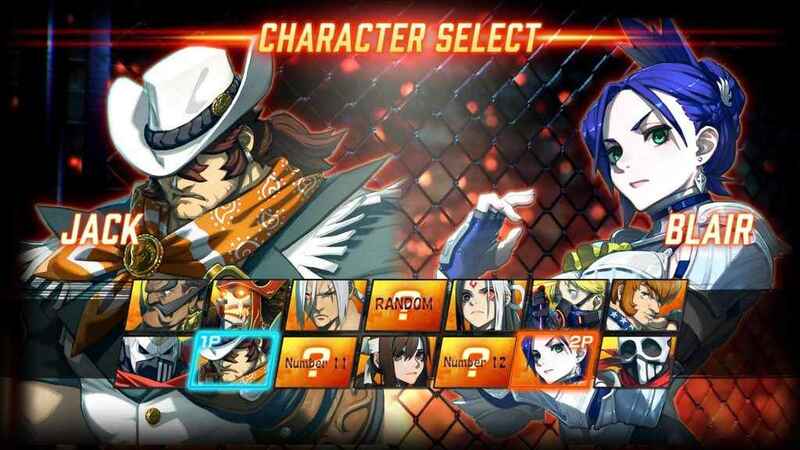 With a roster of just 12 characters to choose from (more are planned for release as DLC later on), Fighting EX Layer is certainly not in the same ballpark as the likes of Street Fighter V or Tekken 7 when it comes to the size of its roster. Likewise, the complete lack of story modes and other single-player content also means that in terms of sheer value, Fighting EX Layer doesn’t quite measure up to its genre counterparts here either. Though hardly a large roster by current standards, each of the fighters in Fighting EX Layer are impressively deep and satisfying to master. In large part, the reason why ARIKA has not included things like a sprawling campaign story mode and more characters than you can shake a hairy stick at is simply because the Japanese developer is not a massive AAA studio, and so its desperately finite resources must be employed to flesh out the core of the game first. 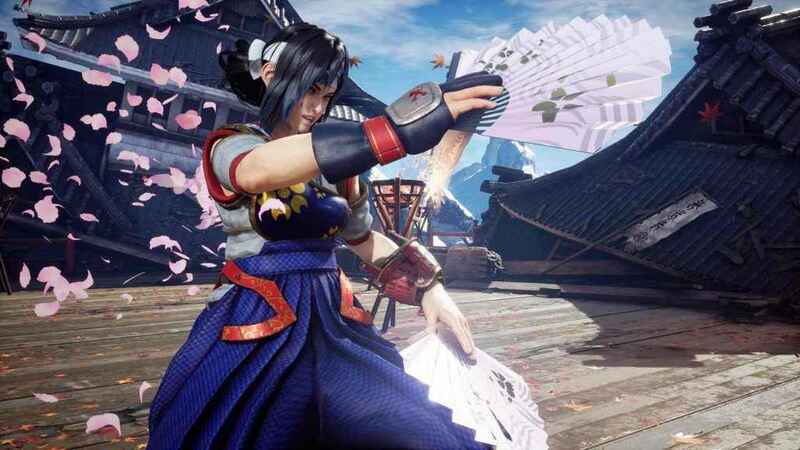 As such, where Fighting EX Layer does fare better however is in its combat system which pretty much takes the gameplay mechanics seen in Street Fighter EX and brings them bang up to date for the current console generation audience. Fighting EX Layer Combos & Attacks – How Do They Work? For those unfamiliar with the Street Fighter EX games, Fighting EX Layer embraces a stylish form of combat predicated around lengthy, Street Fighter style combos, dash attacks and a range of highly damaging, visually flamboyant super attacks. From the off though, it’s clear that the game struggles to explain its intricacies to rookie players and so a lengthy consultation of Fighting EX Layer’s supplied digital manual is unfortunately a much needed first stop before you can properly get going. A training mode would have been much welcome! Once you’ve orientated yourself on the basics, and can broadly understand how to punch, kick, throw, defend, jump and dash, it turns out that there are two different combat control systems which can be used, with one created for lower skill players and the other crafted with long-time fighting game veterans in mind. In terms of the former, the Progressive control system aids newer players by shortening the inputs and the number of button presses needed to pull off complex moves. Whereas the latter control system, the Classic system, requires all the usual quarter circle fireball commands and unabridged inputs that fighting fans would expect. The numerous combatants in Fighting EX Layer are pleasingly detailed, including Darun Mister and Allen Snider. Further rolling out the red carpet for newcomers is the toggable Easy Combo system, where lengthy attack combinations can be strung together effortlessly with super attacks to create hugely devastating and satisfying results. 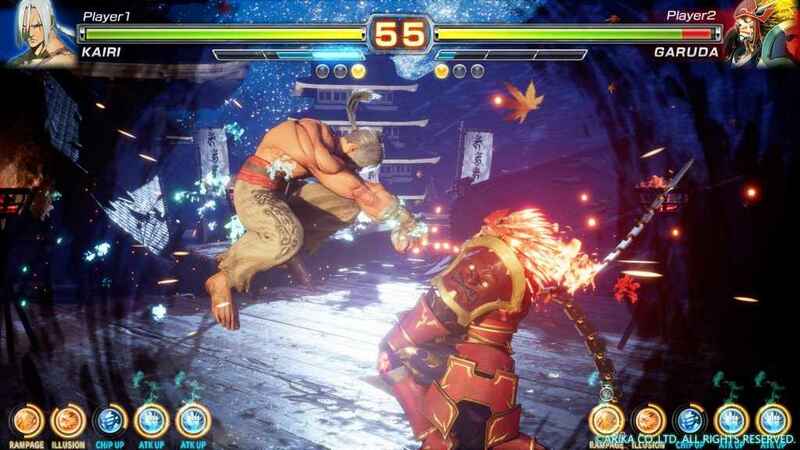 All in all, having the Easy Combo systems and the two different control methods proves to be a boon as it doesn’t just encourage newer players to get stuck into the game, but it also reassures stalwart fighting game fans that Fighting EX Layer isn’t prepared to totally dial back its sophistication in favor of accessibility for its non-core audience, too. Fighting EX Layer – What Is The Gougi System? Where Fighting EX Layer seeks to meaningfully separate itself from other fighting games is in its Gougi system. Functioning like a series of buffs, each deck has been pre-designed to allow a certain number of specific conditions to occur during a scrap. The Infinity deck, for example, doesn’t grant you the power of the Infinity Stones but rather allows you to pull off Super Moves as frequently and as often as you’d like, while other decks provide invincibility frames, extra attack power and so on. Crucially, these decks cannot be used from the get-go – instead they can only be activated when conditions specific to that Gougi Deck are met, ensuring that over abuse of their various in-fight bonuses is never an issue. Naturally the issue of balance when it comes to the application of Gougi Decks is a vital one, and at this point, though some decks such as the Infinity deck appear hugely powerful, the steps that it takes to unlock them are appropriately challenging. As it stands, the Gougi Deck system neatly compliments Fighting EX Layer’s already accomplished core fighting system and provides a decent amount of creative latitude for players to customize fighters going forward. Built using Unreal Engine 4, Fighting EX Layer is certainly not an unattractive looking prospect. In particular the numerous character models in Fighting EX Layer share that same puffy, action figure like appearance that the bruisers in Street Fighter V do with animation that is similarly smooth and easy on the eyes. As far as the characters themselves go, modern day fighting game aficionados will likely fail to recognize the bulk of the roster, but anybody who has played a Street Fighter EX game in the past will certainly recognize the likes of Ryu/Ken-alike Allen, the creepy Doctorine Dark and the frankly mental-looking Skullomania. The roster in Fighting EX Layer might not be very big then, but what it lacks in size it arguably makes up for in variety. Is Fighting EX Layer A Fighting Game Worth Your Money? With very little single-player content outside of practice modes and challenges, Fighting EX Layer is invariably a game that is very much geared towards online multiplayer and high-end tournament play. As such, if you’re looking for a new, content-stuffed fighter, Fighting EX Layer is most certainly not your bag. With new fighters on the horizon and a range of balance tweaks and other adjustments in the offing, it’s fair to say that ARIKA have a longer term plan for Fighting EX Layer that will see it evolve beyond its current modest offering, but that offering is still one that is very much geared towards online multiplayer only. As it currently stands though, Fighting EX Layer is a great one-on-one fighter, it just happens to be one that is light on content and heavy on online multiplayer mastery. If you enjoyed this Fighting EX Layer piece, why not check out our feature covering some of the best fighting games you can get right now on PS4? Fighting EX Layer code provided by publisher. A deeply engaging fighter that resurrects the Street Fighter EX combat mechanics of yesteryear, Fighting EX Layer's lack of single-player content unfortunately make it difficult to recommend to folks who aren't rabidly engaged in its online multiplayer shenanigans, those who are however will find much to enjoy.